Year 5 Experimenting with Cola and Mentos! 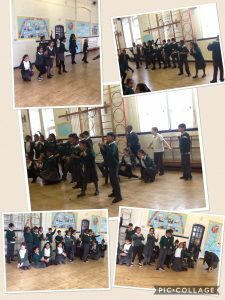 Every Tuesday we have been working with a visitor to do some drama relating to our topic ‘Emergency.’ This has included a group dance, story telling using drama and acting out emergency scenarios. This week we really enjoyed choosing our own groups to rehearse and make up our own dance. We performed our routines to the class, we made sure that all 4 emergency services were included. These were the; coast guards, ambulance, police and fire services. Here are some stars and wishes about each groups performance. 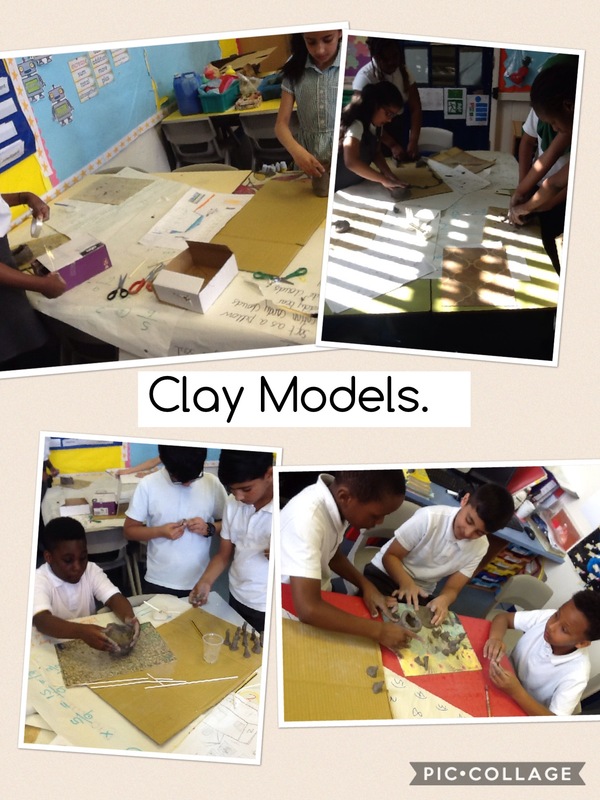 We have been working really hard in groups this week designing and making our Roman Villages. We have used many different resources for these, our favourite has been clay. Tomorrow when our models are dry we will paint them and add further details. Here are some examples of short burst writing that we did on Friday. We based them on an example first person recount and adapted it to fit part of a recount about Mount Vesuvius erupting, which we are learning about at the moment. This morning we had visitors come in and teach us drama skills. We had to work as a team to create a type of transport, using our body parts to connect us to others in the class. At first we had to create an action about what we think the future might look like. Then the whole class created a time machine to go into the future. We had to make movements and noises for our machine. We really enjoyed working as a team to make the time machine, tell us what you think by commenting below. By Areeba, Jannah and Irfan. This afternoon year 5 have been investigating using Newton meters. Today we went to Calthorpe Haven and became archaeologists. We had to dig to find clues about our new topic. We found a Roman Solidier, a map of Rome, a metal detector, a piece of mosaic and a rope. 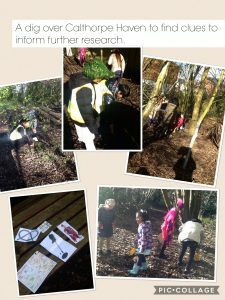 It was hard to find the clues and took a lot of time and good team work, however we found them all and we enjoyed ourselves. Afterwards we had to think what do they have to do with the Romans? Whywas there rope in the find? By Shazia, Priya and Allayna. Today, for World Book Day we have been creating lots of activities around our class reader ‘Aquila’ by Andrew Norris. Comment below to tell us what book you have enjoyed reading as a class in school and at home. 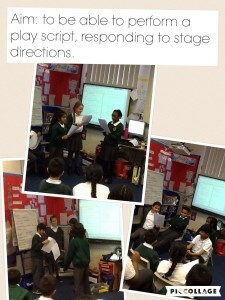 Year 5 have started practicing reading playscripts in preparation for their end of half term pantomime. Last week we visited Thimblemill Library where we were lucky enough to meet Shoo Rayner. 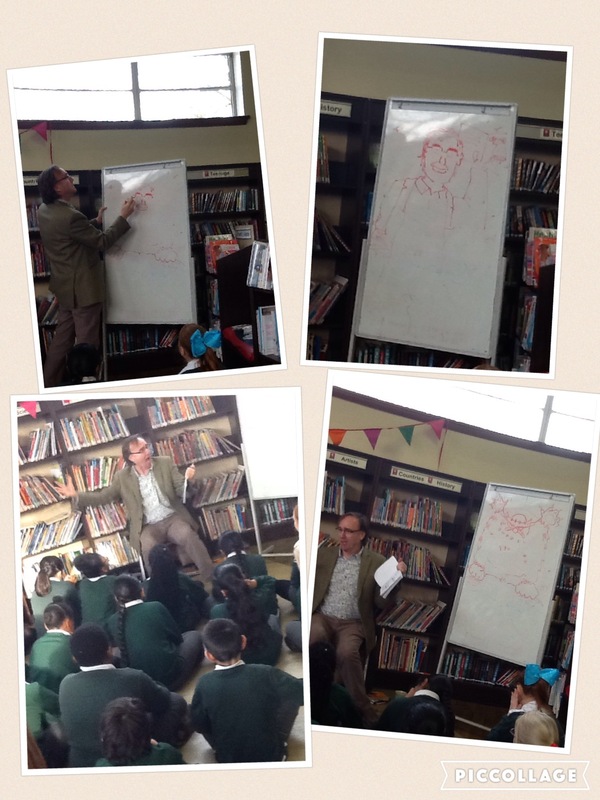 It was interesting to hear all about how he became an author and we enjoyed listening to him read us a short story. 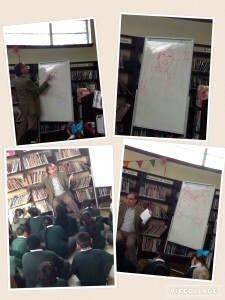 He even showed us how to draw characters from his books. 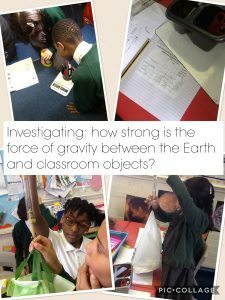 We have been using the tips he gave us and also watching his short drawing clips on YouTube to help us draw Astronauts, planets and lots of other space related pictures for our topic. Today year 5 had visitors from Birmingham Think Tank museum who brought in a mobile Planetarium. They showed us star constellations, the different planets orbiting the sun and how day and night and the seasons work. We all really enjoyed the visit and learnt lots. Please comment below to tell us one thing that you learnt from the visit today. salif on Oh No It Isn’t!